Facebook lets loose on our canvases! A team from Facebook stopped by 1AM to try their hands (and their cans) at spray painting and they worked together like a well-oiled machine on our tag wall as well. 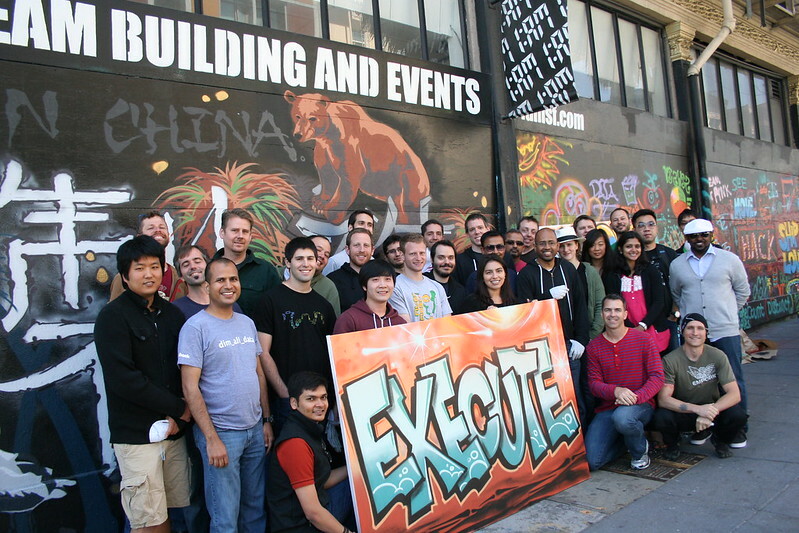 They ultimately produced a canvas mural with their word, “Execute”, emblazoned across it! Email us at privateevents@1amsf.com to get your team painting! « Sen2 Manystyles: Beyond the Canvas!